Sometimes I notice my protagonist is following along with the plot and doing what she needs to do, one step at a time, but even though things are problematic, there's no sense that there's really anything in the way trying to stop them. Sure, it's hard, but she just needs to fight through it to the next step. Stuff's in the way, but it's not opposing her. It's the literary equivalent of a big action sequence in a movie. It's fun to watch, but it's all surface problems. This is when I know I need to add more conflict. Not the "put random obstacles in the way" conflict, but the deeper, more interesting, "make the choices harder" type conflict. The external conflicts are pretty easy to pile on, but the really heart-wrenching stuff, the conflicts that keep readers glued to the pages, are more often than not the internal conflicts. Because heroes tend to win. We all know the protagonist isn't going to die, and getting locked away but the villain is only temporary, because she has to break out and save they day. As much as we love the exciting external conflicts, they only carry so much oompf. The internal ones can be anything and affect anything. We don't know what a character might do when faced with an impossible choice, but we can see that that choice is going to have a strong consequence. How can I force her to go against her morals or belief system? This plays off the inner conflicts. If she needs to steal a car to save the girl, how can I make stealing that car involve a choice that would eat at her? How can I force her to make a choice she really doesn't want to make? Maybe there's been something floating around in the story, a theme, a bit of backstory, some foreshadowing. Or maybe there's a way to showcase a flaw, or a trait that will matter later. How can I force her to make a bad choice? This is one of my favorites, since mistakes are great fodder for plot. Protagonists can act, and that action causes more trouble than they were trying to prevent in the first place. This works even better if they make the wrong choice because they're try avoid violating one of their belief systems. How can I force her to fail? This one can be dangerous, so be wary of putting your characters in situations that stop the story. But sometimes failing is an unexpected and compelling path to take. It's not a setback, it's real failure with real consequences. If those consequences play off an inner conflict, so much the better. How can I force her to do something she'll regret? This works well if what she does early on affects the plot later. A choice she makes trying to avoid one thing, that directly makes things impossible down the road. (Like she takes the easy way out, and that bites her later and turns hard into downright impossible) Maybe she can see this coming and has no choice but to do it anyway. Maybe she has no clue what problems she's about to bring down on herself. Or better still, she doesn't, but the reader does. It's easy to throw more "stuff" in the way of your protagonists, but also look at your scenes and see what mental obstacles you can toss into their path. Not only can that help deepen your plot, but deepen your characterization and themes as well. 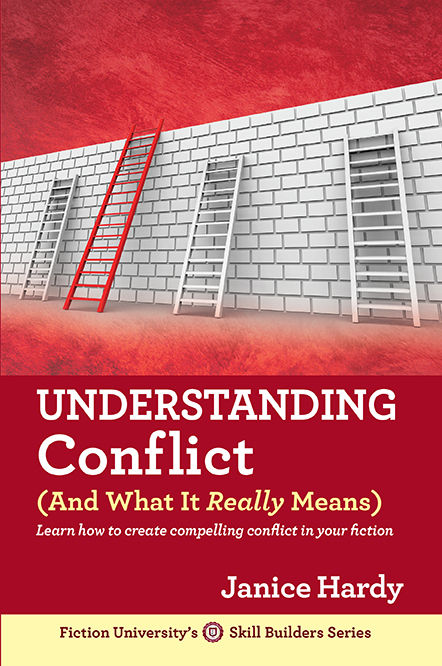 How many conflicts in your novel are tough obstacles vs hard choices? Which do you find more compelling? Ecellent post. I sometimes get the feeling that my characters are pushing through the hard stuff too easily. It makes perfect sense that inner conflict is what they may be missing. Thanks for the great suggestions. Great ideas for increasing the conflict. Sometimes I don't think I force my characters to have enough conflict. You've given me some great ideas for changing that. Thanks. Just the post I needed, right now :D I swear you're psychic, Janice! It really is about how tough we can make things for our characters, and your post perfectly illustrates some of the ways that we forget to include. Perfect! This. Is. Awesome. I love what you said about personal conflict, especially having to make a bad choice. On a related note, I did a crit the other day where the author skipped over a very obvious way to add more conflict/raise the stakes in the story. Writing it I was thinking of all the posts you've done about conflict - should have directed her to your blog. My bad. I'll send her an email and add a link to this one too! I really love the "bad choice" conflict for YA because that's so much of the YA experience. Teens will just act without thinking so much what the consequences will be. Hello Fellow Blogger! Wanted to show some love and say your blog is wonderful. I myself just started a new blog and could really use your support. Return the favor and become a follower? Wen: Glad I could help. There's so much to remember and think about. Doing these posts actually remind me on things to check, too. Angie: Thanks! I love when I find great moments like that, in my work or others. Kinda like finding treasure. Enjoy your weekend! Monica: That's actually one of the things I enjoy about YA. It's a time when you make tons of mistakes, and it makes for some great stories. I think, out of all the blogs I read, I bookmark things from yours the most. This post is excellent, and that first paragraph you've got basically mirrors a rather dreary 3K-word trek my characters go on halfway through SPITFIRE--tough, but doable. But it needs some spice, you know? Also, by first, I mean second. Math was never my strong suit. I just found your site via some convoluted process that I don't remember. Anyway, I found this post very good and I love the cover of your books. I've subscribed so I'll be back. I'm presently re editing my YA fantasy ms for my agent. Tahlianewland: Welcome to the blog :) And thanks! Good luck with your edits. I found this post so helpful--I bookmarked it when I first found it and I've just discussed it on my own blog. These questions are proving so helpful in my revision, so thank you! I have yet to come upon a post of yours that I did not immediately boomark, retweet, shared on FB, or otherwise found invaluable. Seriously, this is my favorite writing blog. Very helpful article. I always wonder if I've created enough conflict for my characters or if they're skating free. Another post I will revisit often while revising. Thanks for all your wonderful insights. I don't know where my WIP would be without your helpful posts. Oh wait, yes I do, it would be flailing by the roadside with weak internal conflict. Oh my gosh, Janice, this is such a huge help! I'm plotting my next book, and I've made a sheet of paper for each of your items. I'll start making lists! Thanks so much. I love your writing advice, it always makes me think and is just what I need. I am currently editing a story I have written and was thinking my characters had it too easy. Will go back and have another look and maybe add in some more conflict. Janice, another post I'll be keeping. Great advice! I need this for my WIP! Jennifer, aw, thanks :) I do try. Suzanne, so do I. I'm not sure that ever changes, lol. 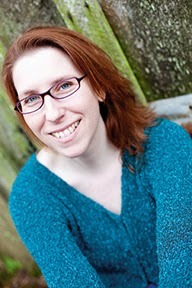 Traci, most welcome :) Always makes my day to hear the blog is helping my fellow writers. Barmybex, thanks! Good luck with your editing. SJP, lol I know! A friend of mine says she wants to adopt mine so I'll stop being so mean to them. Raewyn, they really do add a lot of interest to a story. And they're fun! Sorry you aren't feeling well, but thanks for reposting this. Excellent and to be saved! Thanks and thanks :) The whole house is fighting something. Husband, me, and one of the cats. This was thought provoking. The temptation is to make things too easy for the characters we love because we are galloping to the ending. Putting psychological conflict on top of external conflict can be quite painful to write as we put ourselves through the mill too. However, in Fiction as in life, sometimes the experience of suffering makes the successful resolution even sweeter.